Just a few short days ago, Twitter announced plans to phase out Vine, a shortform video-sharing service it acquired nearly three years ago. 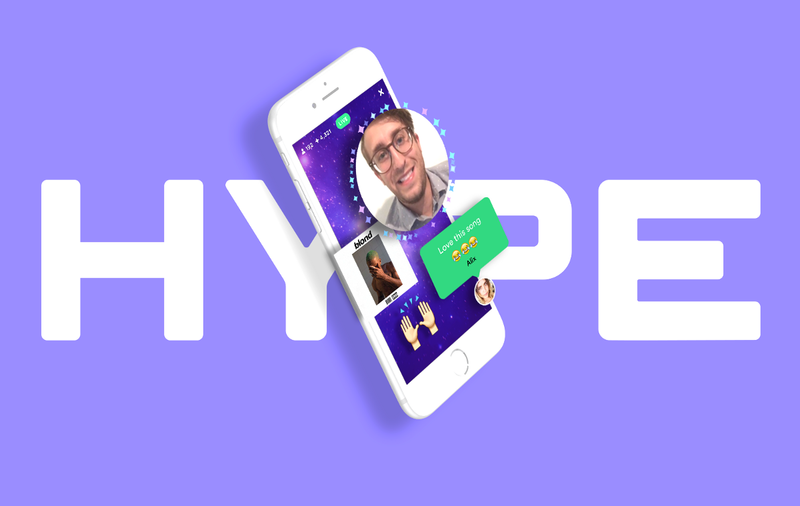 Vine’s discontinuation’s prompted its creators Colin Kroll and Rus Yusupov to pursue new projects and yesterday they unveiled a live interactive video app, Hype for iPhone. Does the world really need another video-streaming service? Only time will tell. 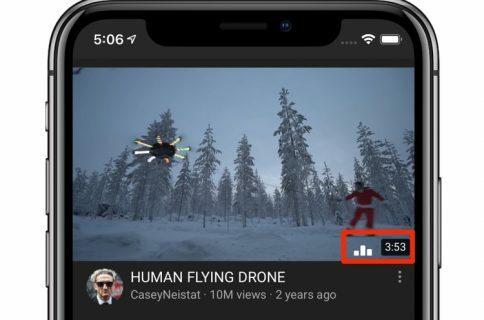 For the time being, Kroll and Yusupov are hoping that Hype’s rich feature set will help set the app apart from Twitter-owned Periscope, Facebook Live and similar video broadcasting services. 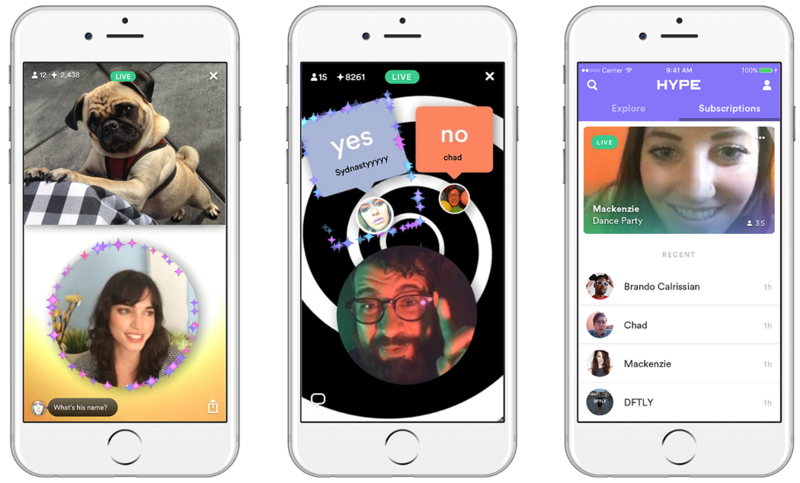 Like Periscope, Hype lets you broadcast live interactive video to the world. The app automatically notifies your followers when you broadcast and they can comment and interact with your live stream, share it on Twitter and more. Any comment from a viewer can be singled out and promoted during live broadcast to make the audience engagement part of the story itself. Hype sets itself apart from the likes of Periscope and Facebook Live with rich media features. For instance, you can inject photos, videos, music, GIFs, text, emoji and more into your live broadcast, as well as play music directly from your iTunes library and optimally make the video available for people to watch later. Hype lets you customize the background of your broadcast with beautiful videos. Another cool feature permits users to select a few videos and pictures from their camera roll and present them as a slideshow in the broadcast. Periscope has hearts and Hype has sparkles. According to developers, sparkles are a “fun, easy way to let the broadcaster know what you are liking”. To send sparkles to the broadcast, simply tap on a piece of media on the screen. Audience members can interact with hosts by asking or answering questions, casting votes or sharing feedback. Hosts can change the size and layout of their bio pic, choose to appear full-screen, tiny or disappear completely and more. Stream your story live, in real time, using Hype’s tools to produce the look, feel, and tone that’s right for your individual broadcast. Incorporate photos, videos and GIFs from your camera roll, play music directly from your iTunes library, and add text, emoji or themed backgrounds. Get creative with how your broadcast is presented by changing the size and layout of your image. Hosts can choose to appear full-screen, tiny, or disappear completely in order to direct the audience’s attention from their camera’s image to another piece of media. Audience members can interact with hosts by asking or answering questions, casting votes, or sharing feedback (solicited or otherwise). They can also express their feelings by tapping on a piece of media on the screen, which sends “sparkles” to the broadcast. Hosts can feature their favorite comments directly on their broadcast, making the audience engagement part of the story itself. 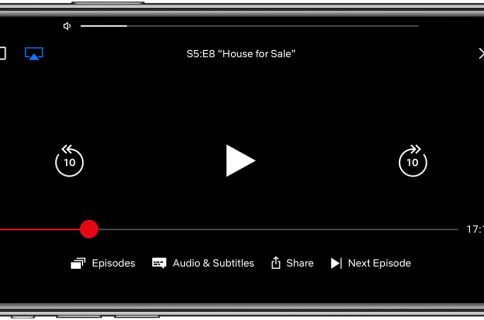 Audience members can share live broadcasts with their friends who can join in to interact in real time, or hosts can save their broadcasts to be re-watched later (though you have to be there live if you want to interact). Put simply, our goal with Hype is to elevate storytelling on mobile by building the most expressive and flexible creative video tools, coupled with real time input from the audience. We think there’s a better experience to be had, one that uses the phone’s capabilities to full effect and blends the creator’s own media into their live broadcast. If Hype ever gets acquired, I hope it won’t end up like Vine. An Android version of Hype is coming soon. Grab Hype for free from the App Store.